I've been thinking about this for a long time, but then I couldn't eat solid food and before that I didn't have any Fluff or Nutella. ne of my favorite foods is a toasted bagel with peanut butter on it, then you put it back in the toaster for 30 seconds to get the peanut butter all melty. Be still my heart! 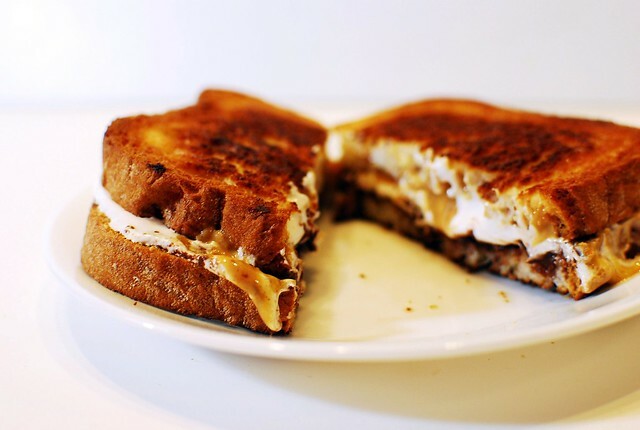 This is a cross between a bagel with melty peanut butter, a grilled cheese, and s'mores. This is not a healthy sandwich, and would be more of a dessert thing. Or maybe a special occasion lunch. I could even see sneaking bananas in here. Or maybe some crumbled bacon. Oh boy. Heat up a small pan over medium heat. Butter one side of each slice of bread. 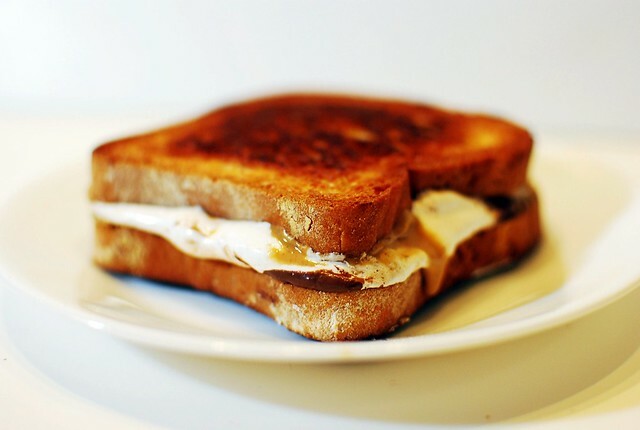 Flip both slices of bread, and spread one slice with peanut butter, and the other with Nutella. 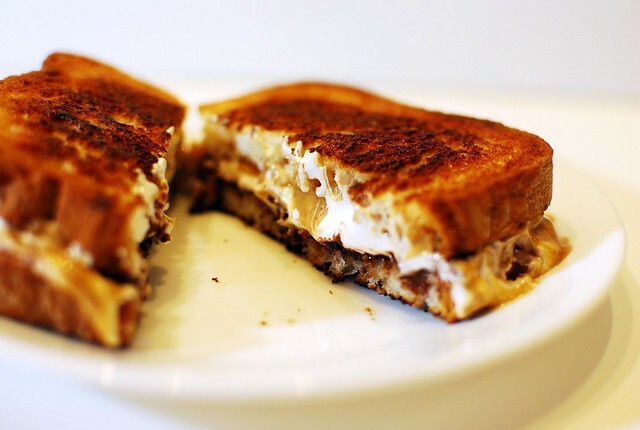 Carefully spread Fluff on top of the chocolate layer, then smoosh the peanut butter slice of bread on top. Place your sandwich in the pan, and cook 2-3 minutes per side, until well toasted on both sides. Eat, but make sure you have plenty of napkins! Well.. I must keep this idea for when I find Fluff and Nutella! Would be great using Almond Butter and bananas too - for those who don't tolerate peanuts. This is amazing, my daughter and I were just talking about making Smore's tonight using GF bread! Thank you for the recipe!!! That looks delicious!!! Great idea! Do you know if Fluff or nutella are dairy free? Mmm, Nutella. That is some good looking #gfree bread! Is it from a bakery? It looks much more appealing than the gf breads I used to purchase. This is the most gourmet PB Sandwich I've ever seen. And man oh man, I want it now!!!! Nice job Jill!